If you’ve read a previous post of mine, you will know how much it meant to me to finally get the appropriate use from our little kitchen table, having had it bumped up against the back kitchen wall for such a long time, and pretty much using it as a general dumping ground for anything we hadn‘t quite got round to finding homes for. So, as I’ve just mentioned, a hugely essential element to achieve this will be the dining table and chairs. 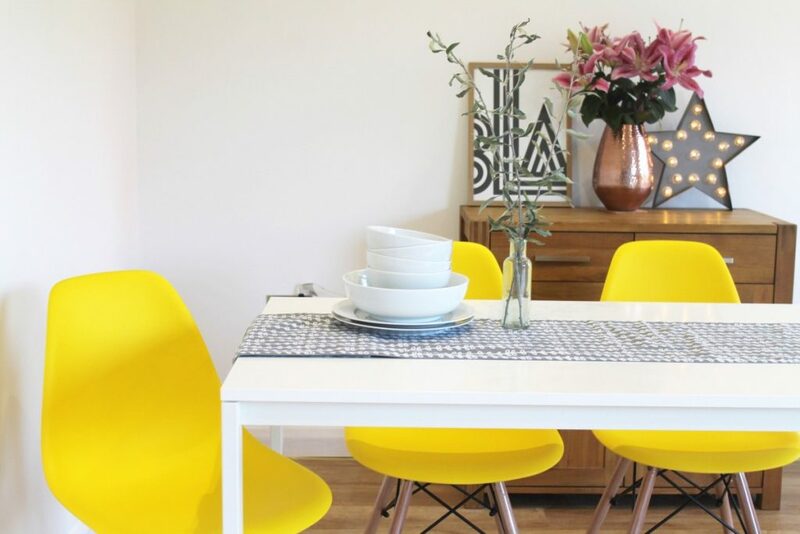 Due to the space restrictions we have, and with the amount of ‘designated zones’ I have in my mind of how I foresee my new kitchen diner to look, we have had to think long and hard about the new table and how it will fit in with the new plan. 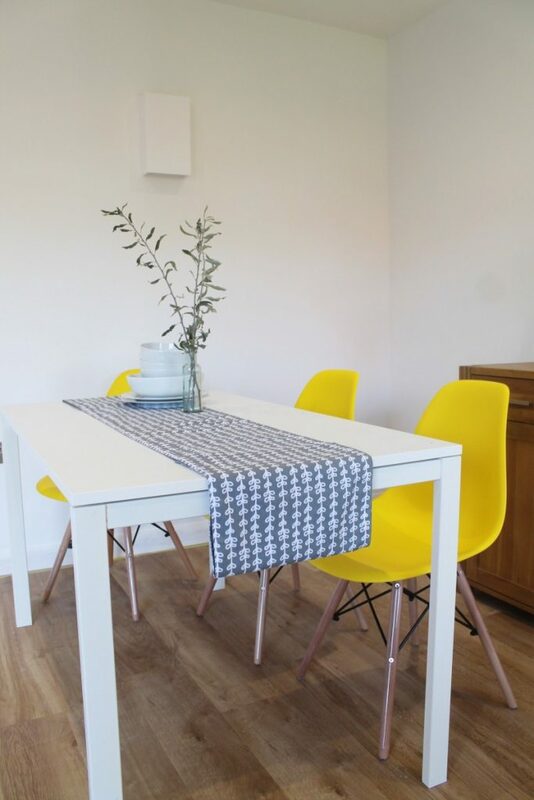 As a result, I think both my husband and I are decided that the table will have to be multi-purpose, by which I mean it has the capacity to cater for as many of our changeable needs and requirements as is possible. With a lack of available dining table space, the table itself will need to be small, though with my delusions of grandeur and ideas of catering for the masses, I require the potential for further seating space as and when is necessary, on those certain occasions. So in reality, for the overwhelming majority of the time we will only require space for our family of four. Yet on the other occasions, we have lots of family and friends, so I am looking for a table where there is the possibility to seat up to 10. And then, there is always the extra seating at the island bar, if we are pushed, which isn’t ideal, but I suppose beggars can’t be choosers. I remember back to when I was a little girl, and when my cousins family and our family all descended on my grandparents little country house, where different tables were all pushed up next to each other in such a higgledy-piggaldy mixed up fashion, just to make enough room for all of us to sit and pick at the amazing Christmas table spread laid out in front of us. So although I like the nice things in life, I’m not ‘too proud’ either, and if I have to copy how my lovely Grandparents coped with numbers, then this is just what we will do. I’ll just get lots of nice table cloths to cover them all up with! And, after all, it’s the company and the social atmosphere which people will remember isn’t it? Having scoured the internet, I have found a few different options which I think might be able to work in our space, but the search is most definitely continuing. 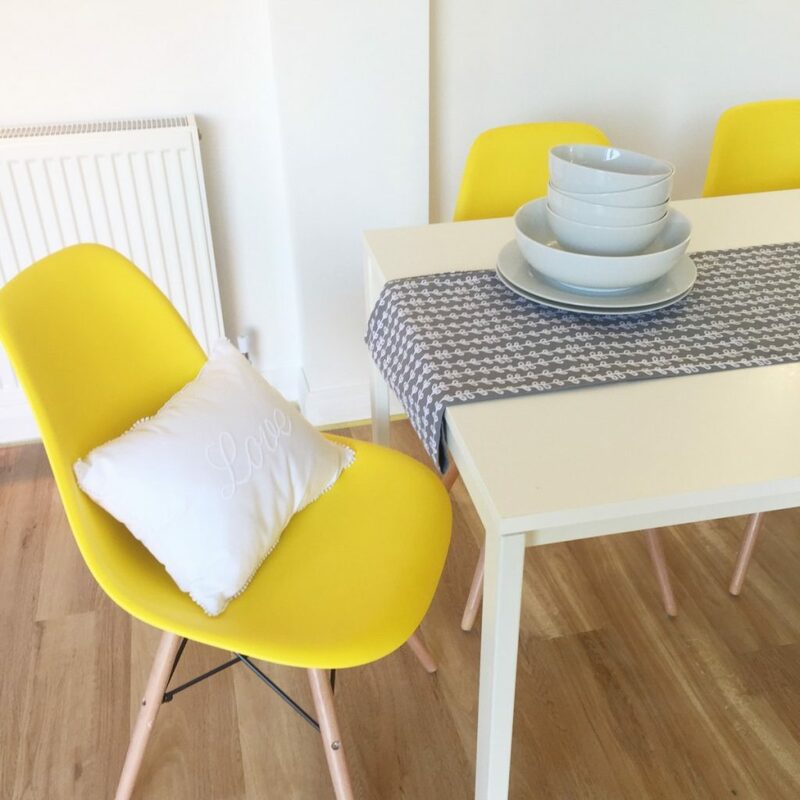 Also, in addition to the table there are the chairs, and I had a few options in mind here too, though in the end we’ve opted for some pretty bright yellow ones from Matalan, which I think look so fabulous against the white and wood of the room and really make a colour pop statement. They are exactly the style I was after too, as they really do complement the modern and simplistic, Scandinavian style of the new kitchen. 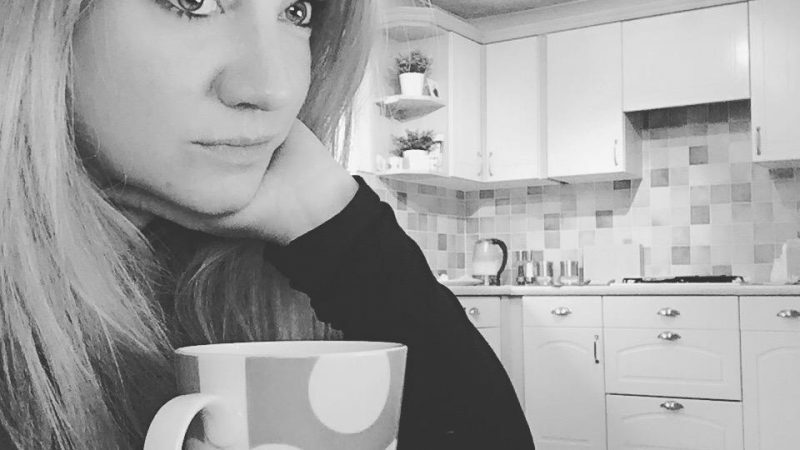 Which was always my plan from the very beginning, to have a lovely blank canvas in which to accessorise with colour and trends as the fashions and my own personal styles and taste changes. 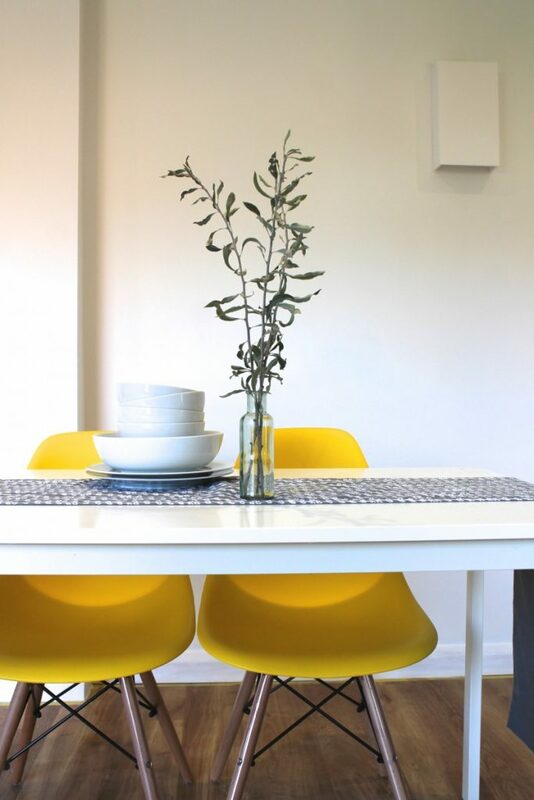 Without revealing too much of the new kitchen space, which I plan to do once the whole project is complete, here is a little glimpse of the dining area so far, and a peek at my bright new chairs, which I must say, are super-duper comfortable too. The table itself is the one we had before, which we still need to change, but as I’ve said, this is a work in progress. As are most things at the moment in our little household, to tell the truth! But, in spite of all the dust, mess, upheaval and chaos, I really can’t tell you it’s not been exciting!! And I really can’t wait to show you the final result very soon.